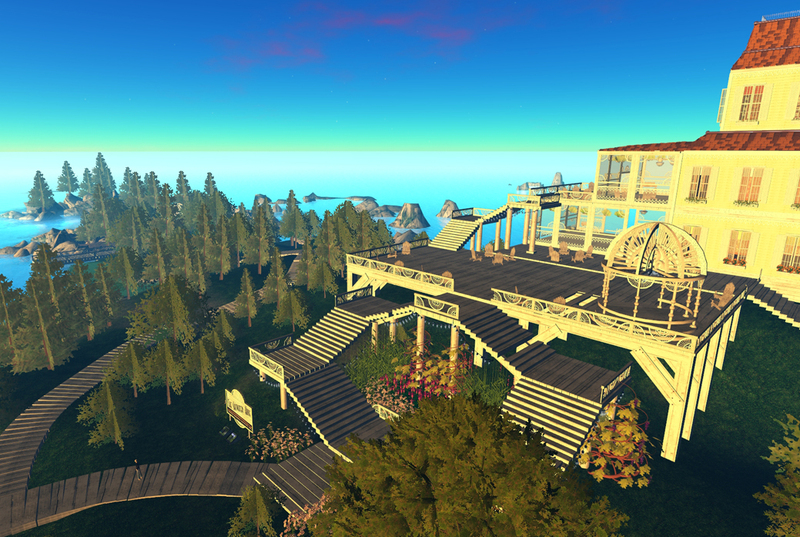 Join educator and author Shenlei Winkler for this whirlwind tour through three well-defined use cases for OpenSim-based education. Focusing on her celebrated work in virtual worlds for fashion designers, she also highlights ongoing research and development of exciting new projects in historical simulation. 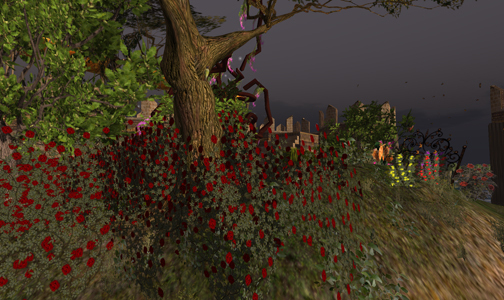 Winkler will be talking about OpenSim for Education: Butterflies, Battlefields and Fashion Design from 12-12:30 pm MT/2:2:30 pm ET in the ISTE Island 4 region in Second Life. Please join us for what promises to be an interesting half hour! Fashion Research Institute is pleased to announce the offering of five grant awards to educators around the world to further evolve and develop an exhibit of over 100 unique species of butterflies in an immersive learning environment using the OpenSim platform, which is an open source virtual world platform that allows actual users to change their digital environment. Using virtual worlds gives educators powerful tools to offer both synchronous and asynchronous education, research, and simulation. For more information please visit our website. There you will find complete details on applying for this grant valued at over $75,000. 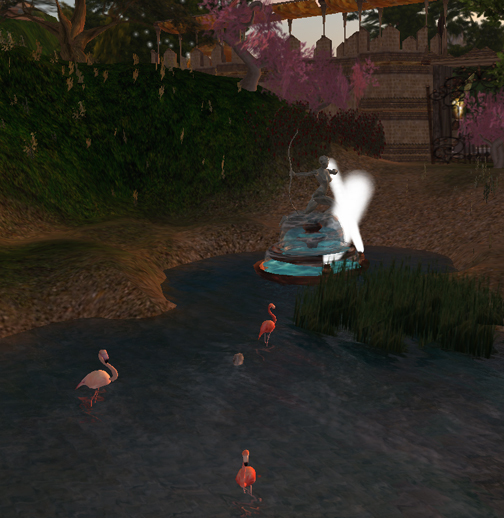 We have completed the new bird sanctuary behind the Shengri La Vintage Marketplace, and would like to invite all to visit our newest space, full of birds and butterflies, and a special garden of roses visitors may take away with them. 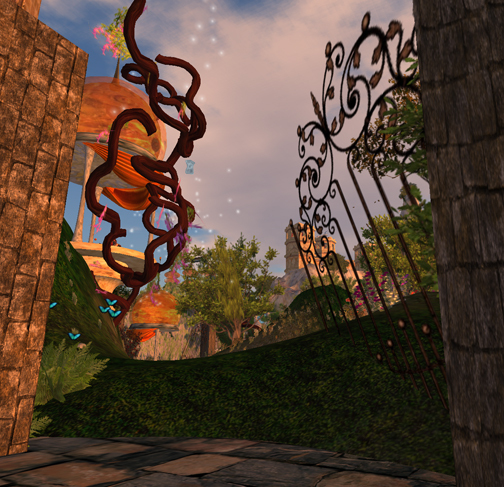 The sanctuary is particularly interesting because we now have more than 35 species of birds represented throughout the Second Life Shengri La complex. 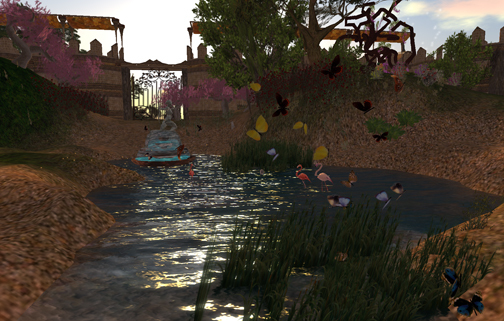 Some of the birds are easily seen – the swans and other water birds tend to be very visible, whereas the songbirds (just like in real life) aren’t as easily noticed. We’ve included a list of our species below – please visit us, and see if you can locate all of them!